Is your skin feeling rough to the touch, looking dull or developing flakes? These symptoms are signs that you're in need of exfoliation, the process of removing dead cells from the top layer of your skin tissue. Your body naturally sheds cells on a daily basis, but the process happens slowly and many people accumulate damaged, dead skin that detracts from their appearances and causes problems like roughness and flaking as a result. Exfoliation helps to remove this dead tissue, so that the skin appears brighter and feels softer and smoother to the touch. 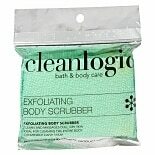 One of the most common ways to exfoliate the skin is by producing friction to loosen the cellular debris. 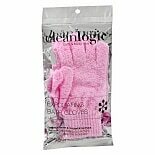 This allows it to flake off or be wiped away with ease. An exfoliating brush for the face or body is a simple tool that you can use as a part of your skin care routine at the sink, in the tub or in the shower. You can use a brush with a https://www.walgreens.com/q/facial-cleanser facial cleanser or body wash to remove cellular debris and improve the appearance and texture of your skin. There are a variety of exfoliating brushes made by skin care companies, and Walgreens has a wide selection to suit every need. The most traditional brush has a round head, a long handle and soft bristles that move over the skin and gently loosen dead skin cells. 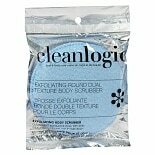 There are also facial scrubs, which are rough pads that are similar in appearance to a sponge. These beauty products are held flat against the palm or in the fingers and then rubbed against the skin. 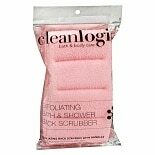 Net bath sponges are softer, puffier types of brushes that are great for cleansing while you exfoliate. 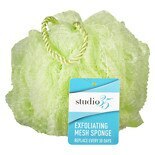 Poofs are usually made of mesh, allowing them to hold onto body wash for quick and simple washing. You can also find mitts and exfoliating gloves with rough surfaces that you slip onto your hands and rub over your skin instead of using a brush. Lastly, there are special towels on the market that exfoliate your skin while you dry off after your shower or bathe. Start comparing the options now to find the best exfoliating brush or tool for your skin care needs.